Do you have an eclectic design style? I know I certainly do. 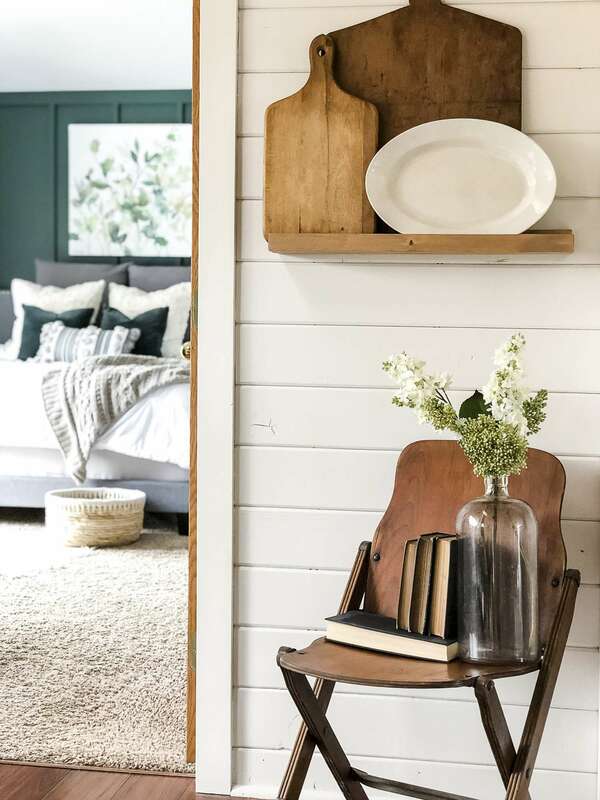 Farmhouse, vintage, boho, modern, industrial….I love them all. 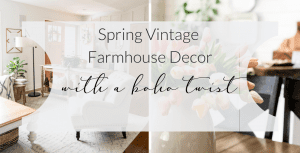 So today I’m sharing how I take my spring vintage farmhouse decor and modernize it with a boho twist! The longer I do this job and immerse myself in the designer life, the more design styles I love. It’s a real problem. Or is it? 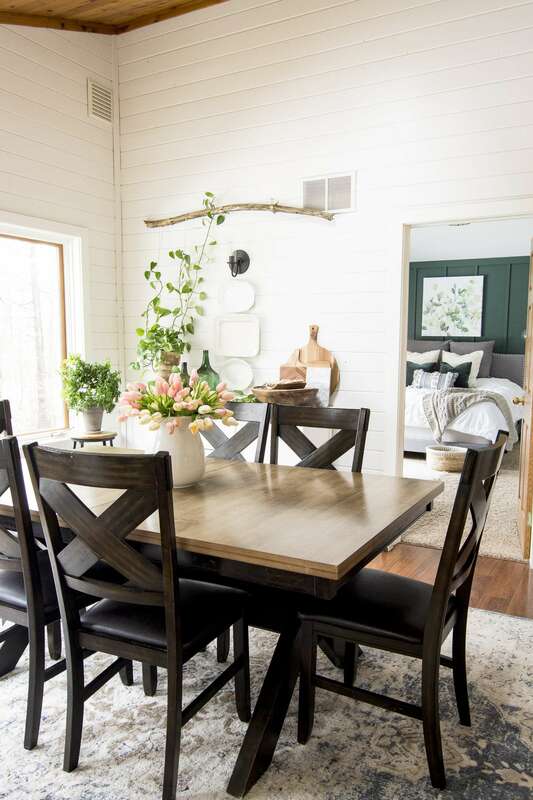 I started my design journey with a love for farmhouse decor. Over the years that love is still there, but has been integrated with vintage items. 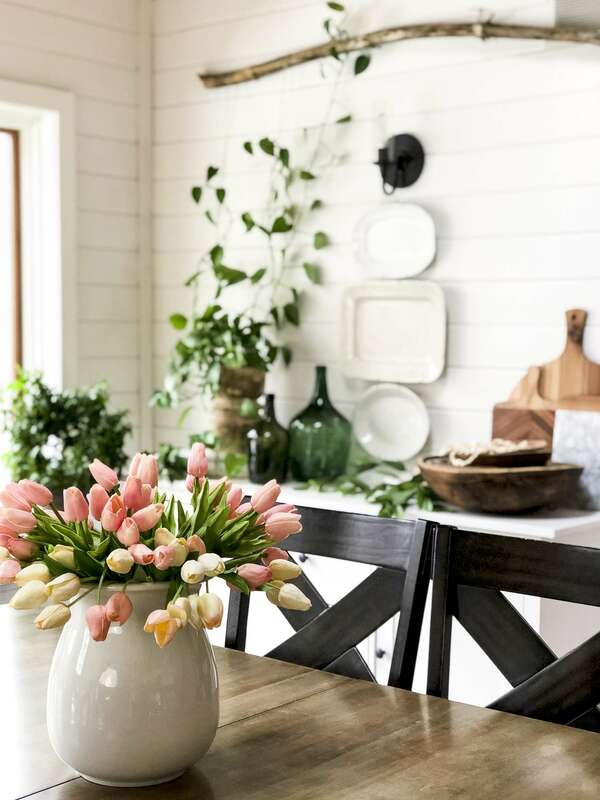 And in the last few months especially I’ve been gravitating towards the simplicity of modern design and the fun and whimsical look of boho design. So what am I to do about this problem? 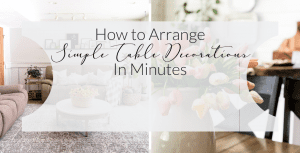 I know for sure that I’m not about to purge all of my farmhouse decor and rebuy all new in the next design flavor of the month. 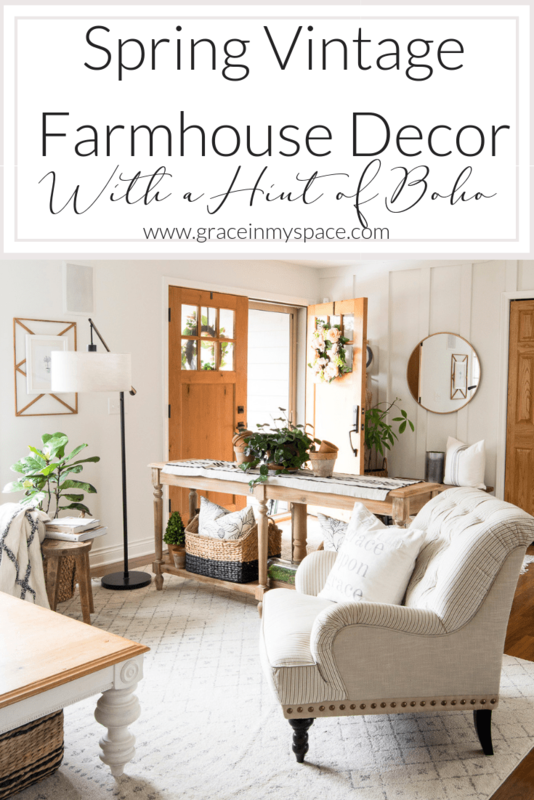 So today I’m sharing my spring vintage farmhouse decor and how I blend that with a more modern boho style. Since the majority of my decor started with a more vintage and farmhouse flavor, I use these as my base pieces. 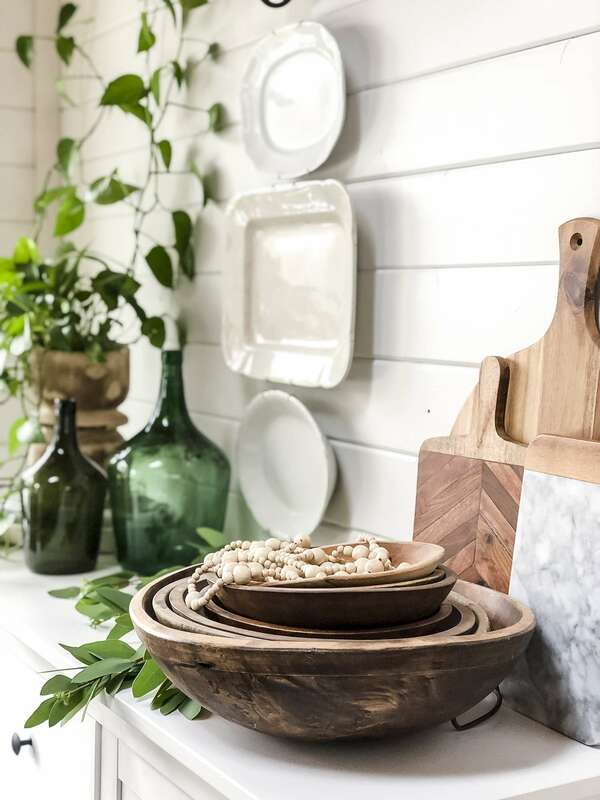 Ironstone, vintage architectural pieces, and warm wood tones lay the foundation for my spring decor. These are the pieces that “tell a story” in my decor. The history behind them always intrigues me and can often be a conversation starter for new guests in my home. 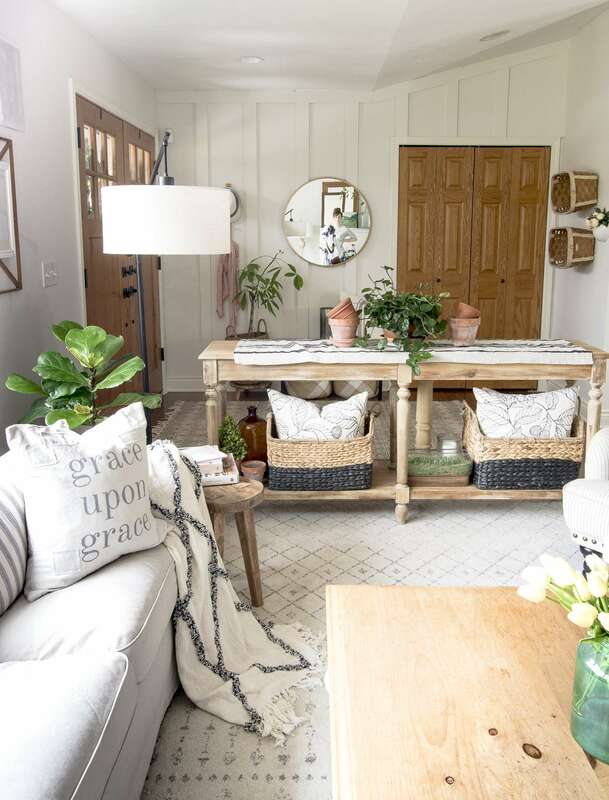 Once I knew that I wanted to transition some of my style towards a boho design, the first thing I did was to add live plants. 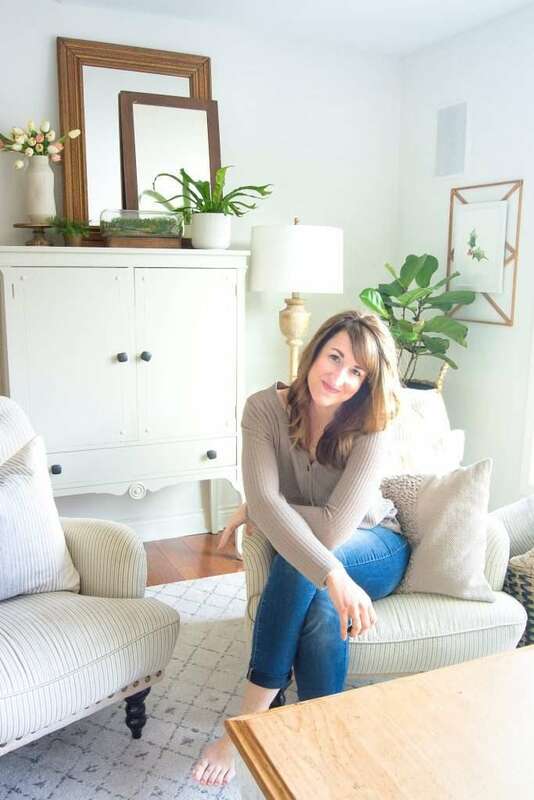 I recently rounded up my favorite easy-care indoor plants and some tips on how to keep them alive here if you’re interested! Pillows can be found here. Plants are such an easy addition if you’re wanting the boho look without adding a lot of trendy decor. Whether you love boho design in a year or not, plants will still be in style. My next tip to ease into a design shift is to slowly add some modern elements. 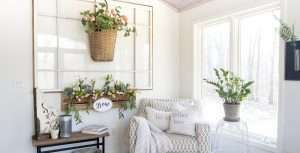 You can do this through decor, furniture or architectural elements. 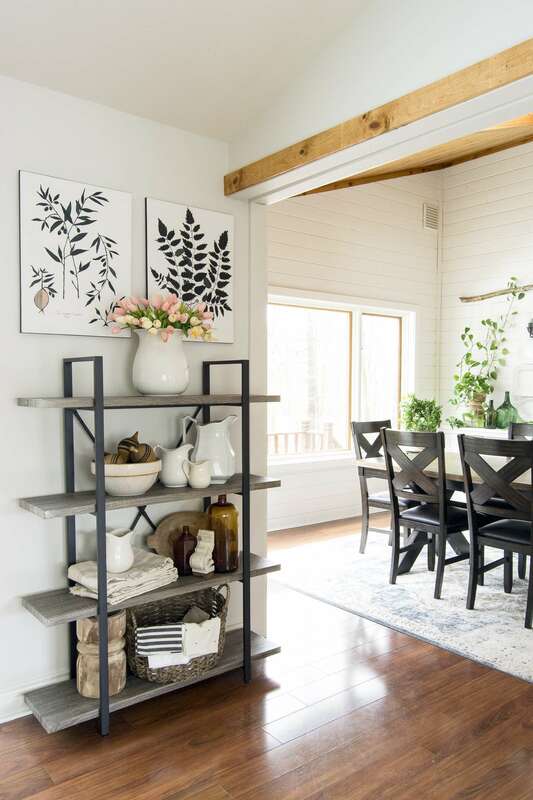 You can see how I modernized our entryway step-by-step in my series on creating spaces you love. 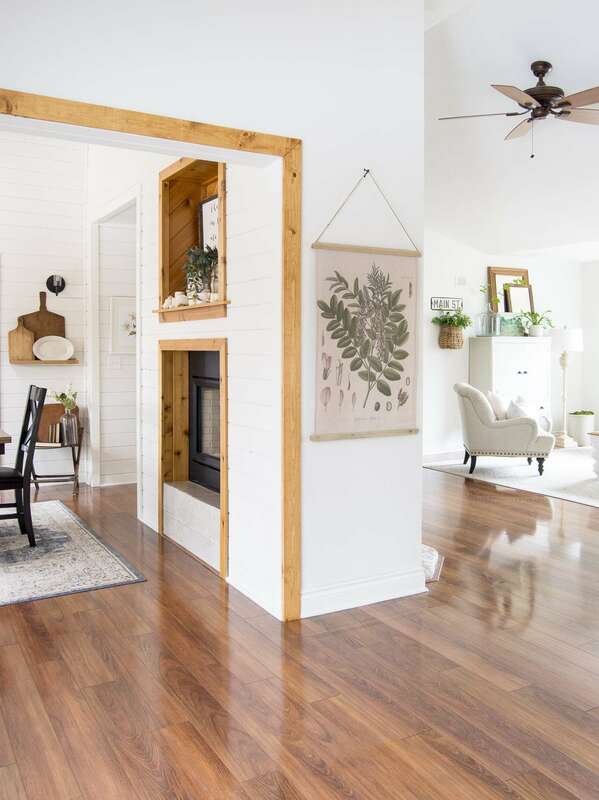 Even the simple addition of a modern floor lamp and oversized mirror make this space feel updated and allows for cleaner lines. In the bedroom, which you can see peeking through the dining room, I did a similar wall treatment and added modern colors with this deep green (Regal Leaf by Magnolia Home). I don’t think I’ll ever completely lose my love of vintage farmhouse decor. The character and warmth that those styles add is important to me. 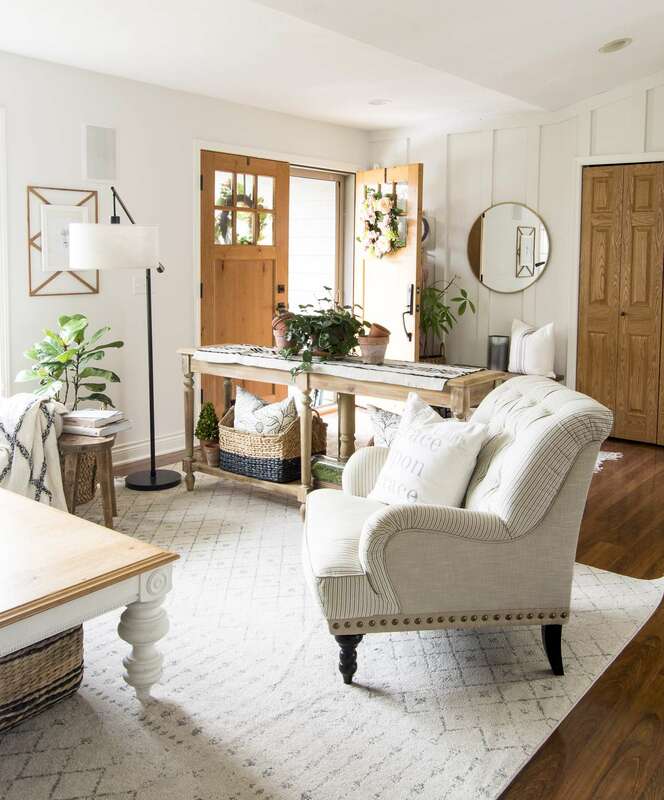 However, I am loving a fresh feel to this space with some simple modern boho additions. I hope that it was helpful to you to see how I blend several styles into one space! Tell me, what design trend are you loving right now? Since I began reading blogs some years ago, I’ve found myself shifting from one style to another to another. When something looks beautiful online, I often want to copy it. But I always settle back into something that is close to cottage. With a bit of farmhouse – ha. I really love your living room … and I love that green bit of wall – what a great pop of color. Enjoy adding your boho!